Nestled amongst 9 holes of Williamsburg National golf course, a 200 acre nature preserve, and a 2 1/2 acre lake, this condominium community offers a picturesque setting. 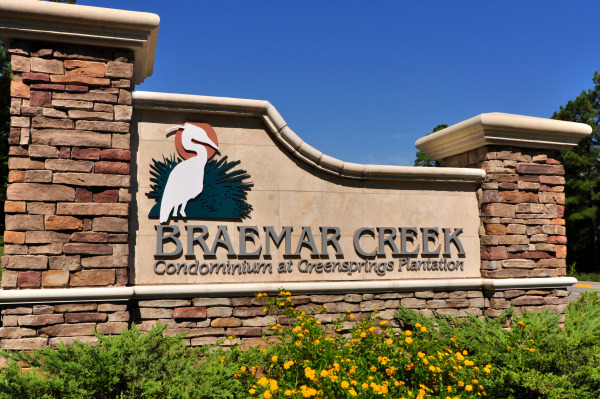 Just a few minutes from Monticello Marketplace and New Town, Braemar Creek’s location boasts the best of both peaceful living and convenience. Residents may also take advantage of the nearby recreational trails, beaches, parks, and beautiful Jamestown Island. 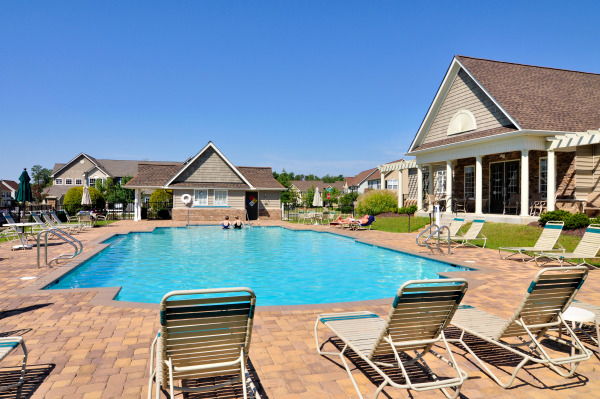 The community is comprised of innovatively designed townhouse style condominiums. The Woodlands collection features one and two bedroom homes while the Linkside collection offers two and three bedroom homes all with garages and some with screened porches and patios. Amenities include an amazing clubhouse with workout room, full kitchen, game area, and vaulted ceilings. A large porch overlooks the 30 x 60’ pool and tennis courts. Don’t miss the adjacent playground with picnic tables and grill. In addition to Braemar Creek, Williamsburg's top selling neighborhoods include Ford's Colony, Kingsmill, Whitehall, Colonial Heritage, New Town, Settlement, Governor's Land, Queens Lake and Brickshire. Click below to download an electronic version of the magazine, or to request a hard copy, and see what these top selling neighborhoods have to offer.